Photo: Horace Duncan House, ca. 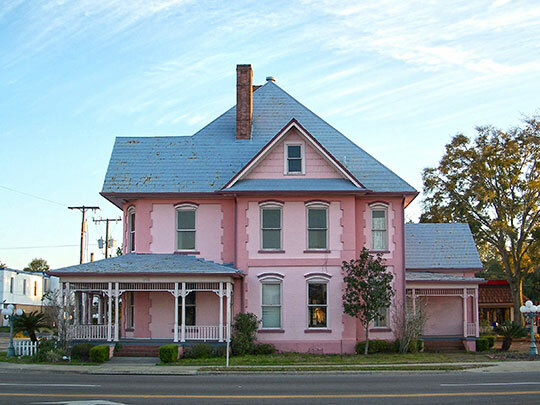 1907, 202 West Duval Street, Lake City, FL. Listed on the National Register of Historic Places in 1993 as part of the Lake City Multiple Resource Area. Photographed by User:Ebyabe (own work), 2007, [cc-by-3.0 (creativecommons.org/licenses/by/3.0)], via Wikimedia Commons, accessed June, 2014. Columbia County administrative offices are located at 259 Franklin Street NE, Lake City, FL 32055;phone: 386-758-1033. The Columbia County Courthouse is located at 173 NE Hernando Avenue, Lake City, FL 32055; phone: 386-758-1342. Columbia County was organized in 1832.